The only thing better than spending the day shopping for new clothes is having a luxurious place to store them all. Whether you live in a house with multiple walk-in closets or a studio apartment with very limited closet space, custom wardrobes are a great option to store all of your clothes, shoes, jewelry and accessories. Custom wardrobes can maximize the amount of space you have while giving you a ton of design options like glass and patterned doors, shelving and even lighting. 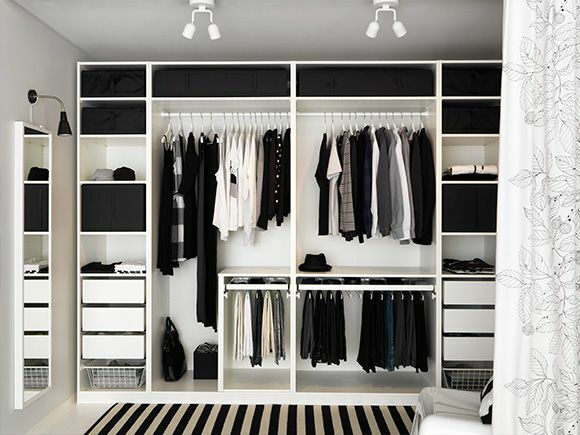 Take a look at these wardrobe designs that will inspire you to get organized in style, and see you don't get wardrobe envy! Like what you see here? At The Closet Works, we can design and build any of these wardrobes – and if you don’t see exactly what you’re looking for, ask us! 1. Fit for "Lifestyles of the Rich & Famous"
Can’t decide what to wear? You can lounge on this plush bench in the middle of your walk-in closet as you look at your clothes displayed in luxurious wardrobes with glass doors. This short-on-space clothing organization system features a clean, white wardrobe and drawer system with frosted glass that adds an elegant, soothing touch. The custom storage area even includes plenty of room for a flat-screen TV and some shelving for keepsakes. The frosted glass doors on this completely custom Closet Works wardrobe reveal just enough to easily find what you’re looking for. Slide-out shirt drawers add another space-saving place to store clothing. 4. Now you see it, now you don't! When these closet doors are closed, all you see is a clean wall with a flat-panel TV. But slide them open and they reveal plenty of room for your entire wardrobe. Genius. 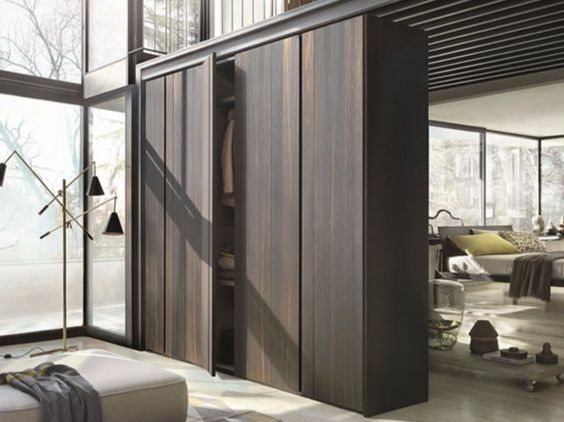 This made-to-measure wardrobe designed in deep wood tones fits effortlessly into the space while creating a division between living and sleeping areas—a great alternative that creates privacy and storage at the same time. This custom wardrobe’s patterned doors automatically add style to a room. And interior lighting makes it easier to find your favorite outfit. Get it now from The Closet Works. 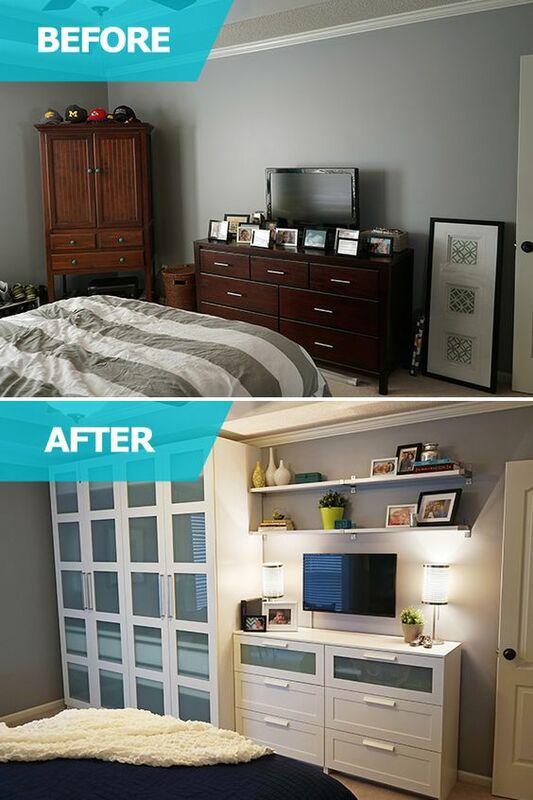 Mirrored doors on this wardrobe make the room look bigger while adding a functional, stylish touch. 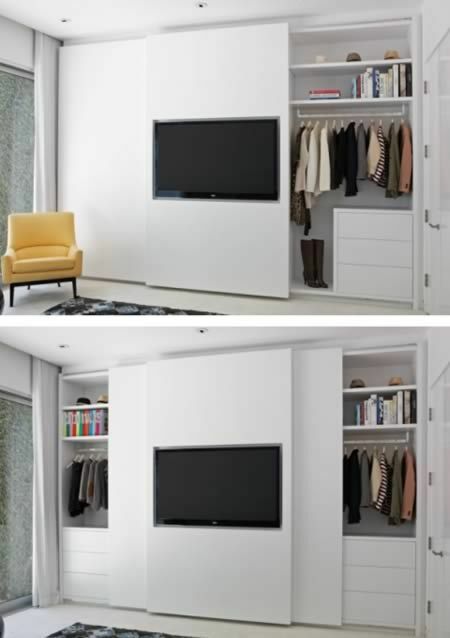 This wardrobe that spans the width of the room fits naturally into the space—just like a custom piece should. Slanted shoe shelves: check! Stylish drawers: check! Double hanging storage: check! Tilt out, built-in hamper: check! This space-saving wardrobe is a customer favorite with a variety of storage options for clothes, shoes, jewelry, and even a place to drop dirty laundry. This wardrobe provides necessary storage while effortlessly fitting in with the cool tones of the room. 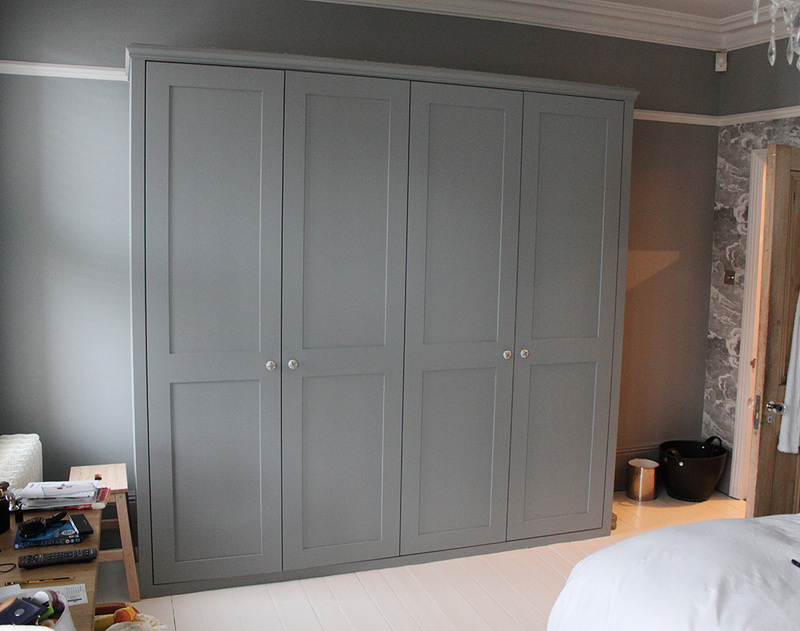 Classic shaker style doors, brushed nickel hardware and a top that aligns perfectly with the picture rail along the wall give this wardrobe a stylish understated look. Sloped ceilings are no match for this beautiful Closet Works wardrobe design. Glass doors help you find clothes easily while keeping dust and dirt away from them in this often underutilized space. Side-by-side drawers hold socks, scarves, small accessories and jewelry while decorative doors add just the right amount of flair to this bright, beachy Closet Works wardrobe. We love how this wardrobe features upper and lower hanging rods to maximize space. The interior drawers on either side provide storage for scarves, belts and jewelry, putting everything within reach. Shaker-style doors and modern hardware give this wardrobe a modern update to classic styling, while center glass doors create a showcase area for your favorite clothes and accessories. 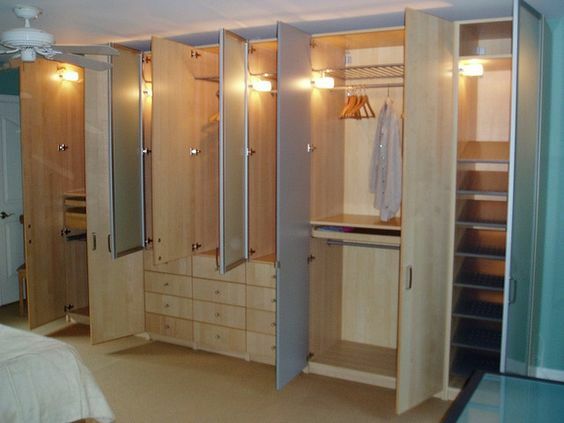 One wall of a bedroom is transformed to fit this wardrobe that can easily fit two peoples’ entire wardrobes. Interior lighting adds warmth and helps you find exactly what you're looking for. Modern or classic, mirrored doors or glass, and room for all of your clothes, shoes and accessories—these custom wardrobes will leave you wanting to add beautiful, functional storage to your apartment, condo or home. If you love what you see, learn more about our completely custom wardrobes at The Closet Works.